I am Lady Moonfire. Welcome to my site. Here you can learn about the earth based religion, Wicca. What you learn may surprise you. We are normal people. We have jobs, friends, family. We just believe that we are part of the Earth, not apart from it. 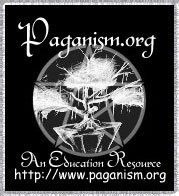 For more information about Wicca, please read the FAQ's.
" 'An it harm none, do what thou wilt"
Please enjoy your visit to my site, and please sign the guest book so I know of your visit. Click on the above everyday to help the environment for FREE!